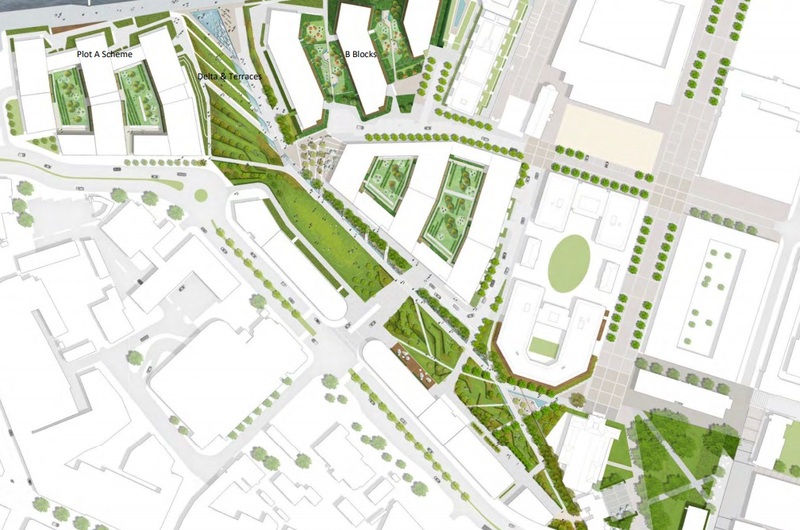 Berkeley Homes have submitted plans for a new park on the Royal Arsenal site in Woolwich. 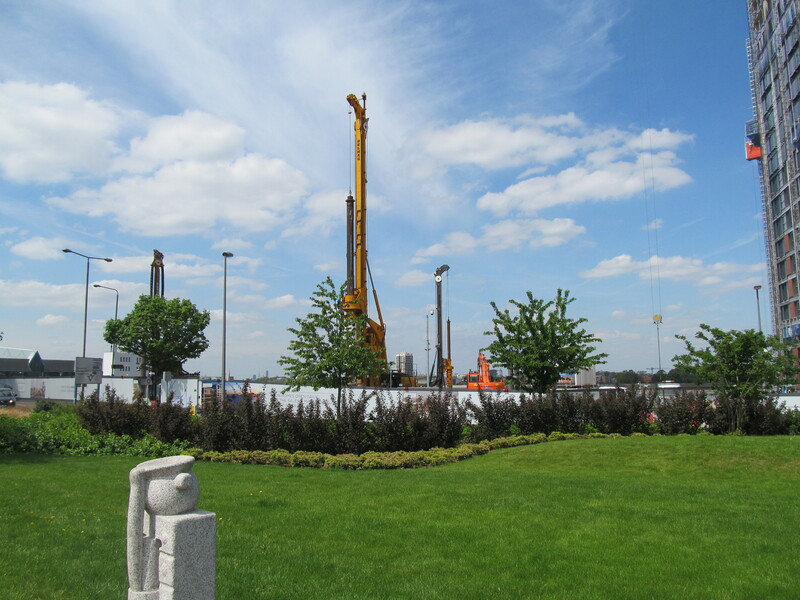 The park will run from near the square beside Dial Arch and the Crossrail station towards the Thames between the blocks now almost complete and those being built on the former Waterfront leisure centre car park. 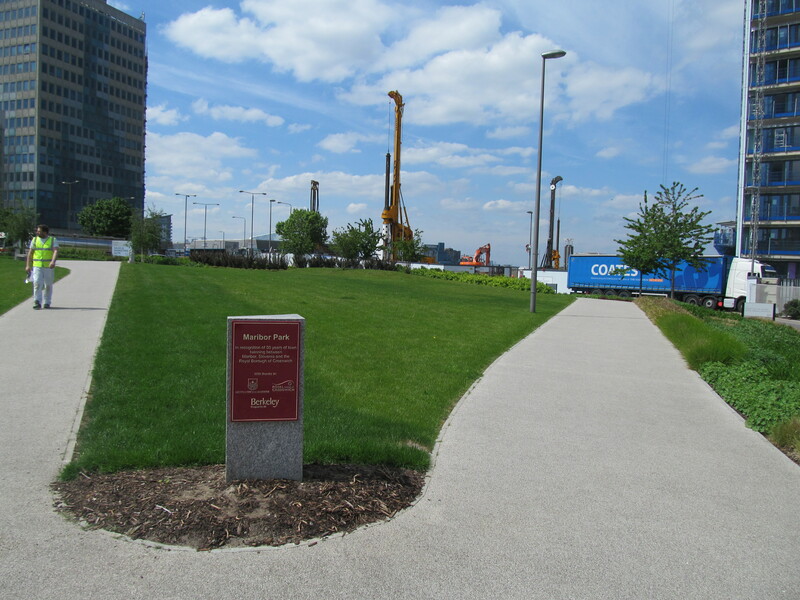 The existing park is named after Maribor, a beautiful city in Slovenia with which Woolwich is twinned. 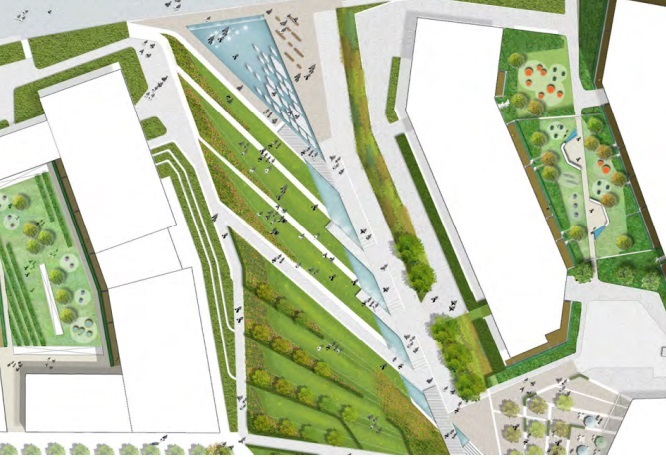 That’s a lovely artists rendition of the proposed park. I’m glad the planners have been able to make the sun set in the north. 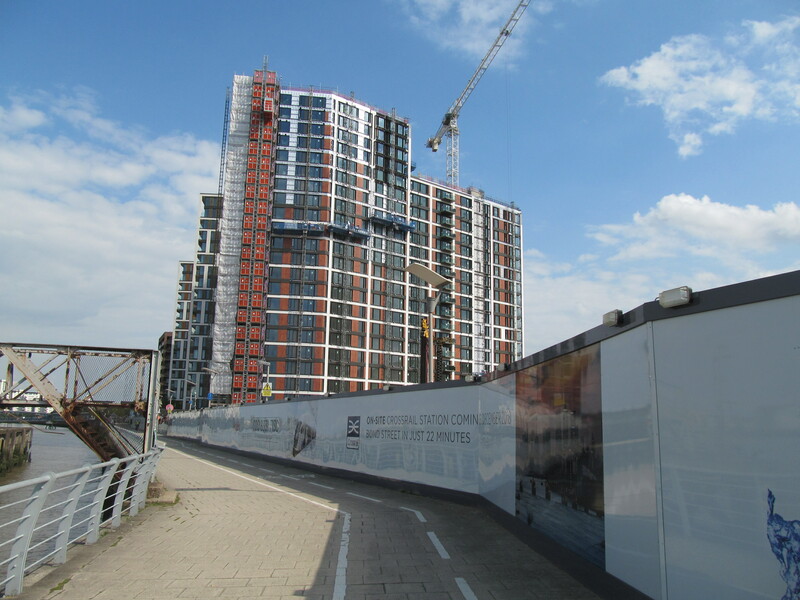 It’s amazing what crossrail coming to Woolwich has acheived I’ll be able to watch the sunset from my north facing garden now.